Another cycling tragedy. There is no possibility that this list is complete but it will remind you of the dangers of our beloved sport. 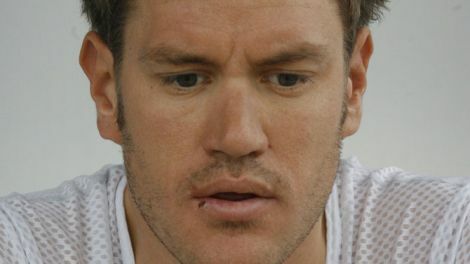 2011: Wouter Weylandt (Bel) dies following a fall during a descent in the third stage of the Giro. I have always had a soft spot for the Frankfurt Grand Prix (Henninger Turn) if only because it has been in cycling for about as long as I have. another reason is that, so I was told, the race featured in the World Cup just once in 1995 because the organiser wouldn’t move to a Sunday from his 1st May date. As the World Cup was a major curse on the sport that has to be a good thing. Back in the sixties and seventies the winners could, in the main, have graced any of The Monuments but latterly things have gone downhill. This year the winner, from a bunch sprint, was John Degenkolb of HTC who it must be admitted has passed under the greenjersey radar. Cav, with race number 13, unsurprisingly failed to finish.